The Istanbul-based Northern Forests Defense (NFD) movement has published two new reports in English to expose the hazards of current plans for the construction of the Turkish city’s new airport complex. 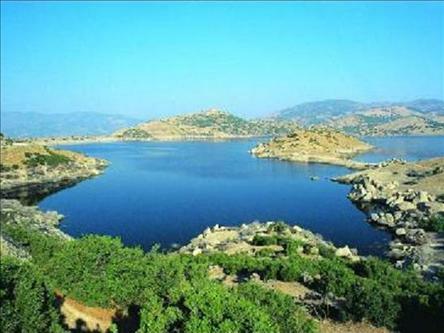 The NFD is a public-interest initiative that advocates the protection of the ecologically interconnected and diverse area north of Istanbul, extending from Sapanca Lake to Strandzha Mountains and consisting of the last remaining forests, watersheds and farm lands in the region, along with many indigenous plant and animal species. The NFD’s working group issued “The Third Airport Project vis-à-vis Life, Nature, Environment, People and Law,” a report that lays bare the irrevocable natural and environmental damages the project will engender through the destruction of forests, water basins and wetlands and the extinction of flora, fauna and birds in the affected area. It paints a fatal picture that even the project’s inadequate environmental-impact assessment (EIA) reportedly has failed to disguise. Another objective of the report is to open the EIA’s scientific findings to question. Serious airworthiness risks stemming from migratory birds, meteorological conditions, landslides and the particular terrain of the project area, together with fillings and grades that need to be made for the project, are also discussed in the report. NFD draws attention not only to the fact that the 3rd Istanbul airport project will not be economically efficient under the existing global and local conditions, but also to the conduct of the firms who undertake the project. The report faults those firms for disregarding human rights, in particular the right to environment, relevant laws and court decisions. The report finds a pattern of plunderous development of the rich lands of the country that now has reached for Istanbul’s lungs, the city-region’s North Forests. Photo: A view of Sapanca Lake. Source: Sapanca Tours.